I have an advertising opportunity that I want to run by you, but I need to get back to them today or it is no longer available. So I was contacted by Yelp and they are offering me 500 highly targeted ads – they can show up on competitor pages and highly targeted searches in my city. Also, they’ll clear my profile of any ads and I get an account manager and reporting. It’s only $350 – but I wasn’t sure if it was a good deal, so I wanted your input first. Uggg – let me pour a fine glass of single malt scotch before I continue . . . 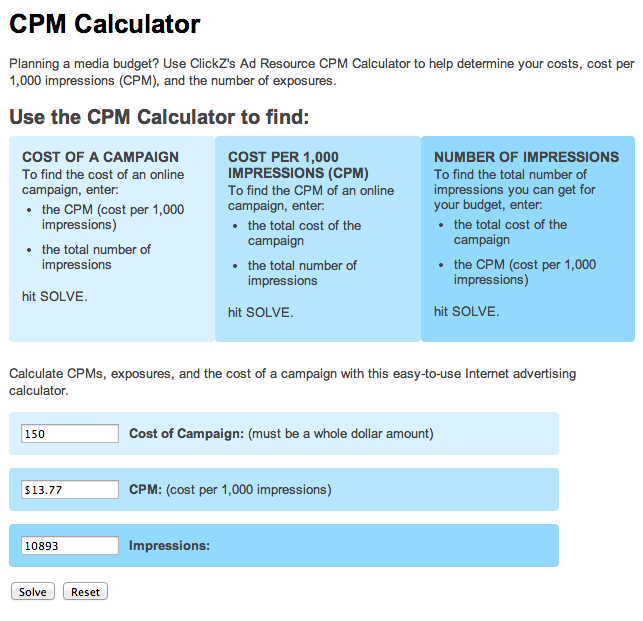 Most (non-PPC) advertising is priced on a CPM basis – essentially the cost per thousand impressions. In this case, $350 for 500 impressions yields to a $700 CPM. Now lets compare that to some other CPM rates: retargeting campaigns (which are highly targeted as they hit people who are already on my site) cost me roughly $2.40 CPMs. That makes Yelp’s advertising more than 29,000% more expensive. You can also try to compare these rates to PPC campaigns. Alternatively, we can try to back out expected cost per client. At $350 for 500 impressions, let’s assume a very optimistic click through rate of 1% – which gives us 5 clicks (at $70 CPC). Now assume those clicks turn into phone calls at a very optimistic rate of 5% – which gives us 0.25 phone calls (now at $1,400 per phone call). Of those phone calls, 20% of them are prospects you actually want – thats now 0.05 qualified prospects ($7,000 per qualified prospect). And of those prospects – you can close half of them – we’re now down to 0.025 clients for $350 – or stated in a slightly more understandable fashion – it will take 40 months at $350 a month (an overall spend of $14,000) to get one client. One last side note: if you hear the salesperson’s refrain “just one client will pay for itself”, hang up the phone and run screaming. Your job is NOT to fund your advertiser’s stock price, but to pay yourself. Target a minimum of 300% return on investment for your marketing activities. Is that the standard deal/pricing from Yelp? I feel like we need more information. $350 a month is chicken feed if it’s generating leads, but I agree that you’re not going to get very many clicks, let alone customers, from 500 impressions. Yelp ad pricing ranges from $350 = 500 impressions to $2200 = 6500 impressions per month. My dear friend Conrad, are your comments restricted to the world of on-line paid marketing campaigns? Because I find the assertion that you should “target” a 300 percent return on your “marketing activities” silly. Why not “target” 400 percent? If I have a marketing activity that returns 2-for-1, my only question will be “how often can I do it?” Also, there are plenty of “marketing activities” that are extremely important but show no measurable ROI. No one will ever say “I bought your service because you have a great brochure.” Would you argue that, therefore, there is no reason to ever have a brochure? Mark – fair and good question. I use the 300% ROI as guideline – especially when evaluating new prospective opportunities. At 300% – this frankly gives you an opportunity to be off by a factor of 2 and still make money. For example, let’s say you spend $100 and expect to earn $400 (300% ROI), but in fact you only early $200 – that’s still a net positive investment. On the flip side – even for established marketing channels, a 2 to 1 return means that my clients would be spending half of their working time to fund me – their marketing guy. Essentially, the higher the ROI, the more my clients pay their bills instead of me (which is how I want it). IMO – this is the essence of service based companies working smarter not harder and why our clients run very high ROI PPC campaigns albeit with lower volume. As for branding elements . . . this is where things start to get fuzzy – very hard to calculate specific ROI on subjective items BUT for the vast majority of online marketing, we can get much more specific. The worst refrain, of course, is the salesperson who says, “get just one client and this will fund itself” – which translates to an ROI of exactly zero. Yelp is the new Yellowbook. You can get premium placement but instead of a box taking up a quarter of the page, you get a filmed and fully produced video which goes on your Yelp business listing (I certainly consider this a selling point). But, alas, as Conrad pointed out. You’re paying $14, 000 for a video and a client. There are certainly better ways to spend your advertising dollars and at the same time capitalize on what you can do with Yelp, for free. A good case and point (back to the phone book metaphor) when I was younger, I started a contracting company. The name I gave my company name started with an “A”(No, marketing magic here, just dumb luck) So, naturally when someone flipped through the phone book, I was near the top and constantly got calls from potential customers. Hence, why you still see so many “A-1 Auto Wreckers” or “A-1 Storage” company names. I also constantly got calls from the sales department, to whom I always politely explained, I was getting too many calls as it was and would not benefit from advertising. Let us think of Yelp in that light. Today it is a bit different. With the internet, it isn’t which letter of the alphabet your company name begins with but customer reviews which drive advertising value. Yelp even offers nice little coupons you can add, free of charge, which do a good job of “highlighting” your listing. Conrad has targeting down pat, I visited this site once and now see his Ads EVERYWHERE! Highly targeted indeed.